In IR spectroscopy, when two bonds are stretching out of phase with each other. 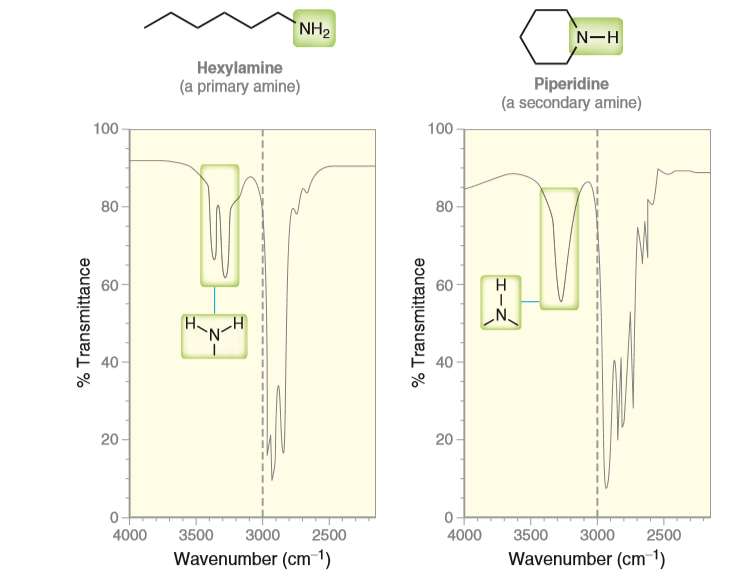 Take note that the first IR spectrum has two stretches for the primary amine, while the second IR spectrum has one stretch for the secondary amine. This is because when the IR beam hits the molecules, half of the molecules vibrate symmetrically, while the other vibrates asymmetrically. Thus, the two different vibrations produce two different peaks.